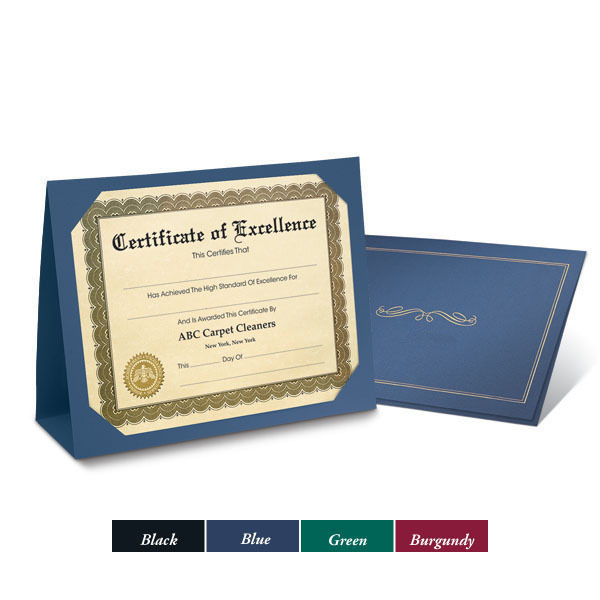 These textured folders are perfect for presenting awards to those who have gone above and beyond. Gold foil-stamped for added elegance. If you would like your company name imprinted on your Award Certificate Folders in gold foil click here. Folder size: 12 3/4" x 10 1/4".